Under normal circumstances I am not a particular fan on 80s fashion. But, on some occasions I will make exceptions as every decade in my opinion has its design merits. This dress has to be one of THE best 80s pieces I have ever come across. 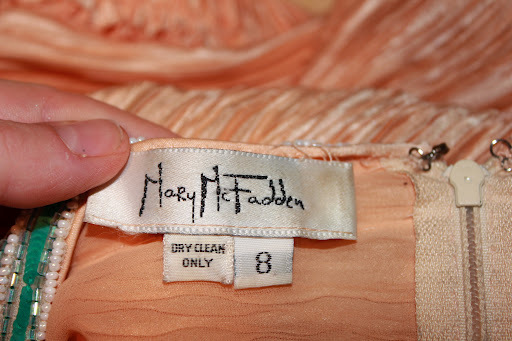 The dress is by Mary McFadden, which (in my humble opinion) is one of the most collectable labels of the era. 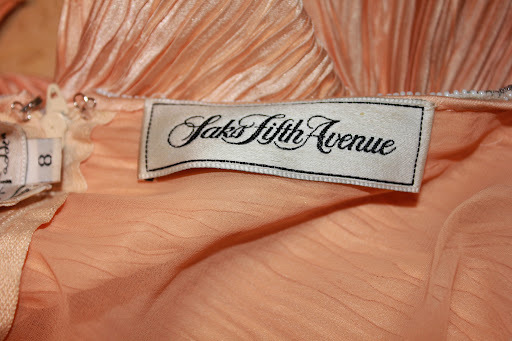 Not only does it have a Mary McFadden label, but a Saks Fifth Avenue label too. McFadden is best known for her pleated silks and polyesters which closely resemble those of Mariano Fortuny (Fortuny took the secrets of his pleating process to the grave…so these could never truly be replicated). This was a permanent pleating process. McFadden started to experiment with these processes in around 1975 and it is her designs in the late 70s and early 80s which still prove popular. There is a certain air of Fortunys work and an art nouveau/ deco feel to a lot of her work. McFadden interests me because like Valentina before her she was her own greatest publicity asset. She often wore garments by her brand and had an overall exotic style. The Met Museum has a wonderful selection of garments by McFadden demonstrating her design prowess. Here are just a few of my favourites. 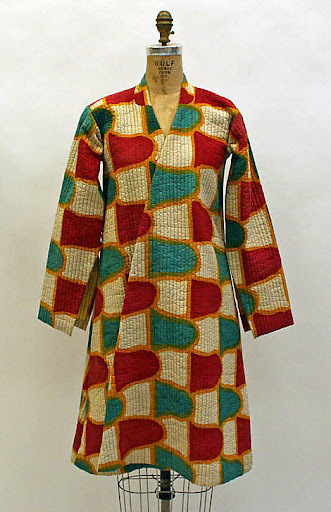 Amazing early Mary McFadden coat c.1972. Once owned by Diana Vreeland. This shows the ethnic influence in McFaddens designs. 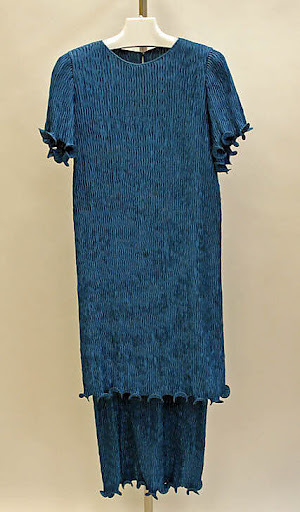 Pleated silk ensemble 1976. This is pure Fortuny if you ever saw it! 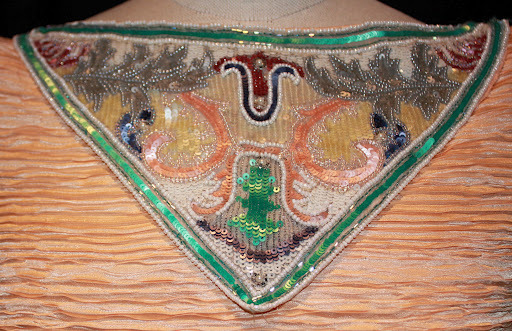 The lines of this dress and the colour ring true to the rich vibrant colours that Fortuny used. 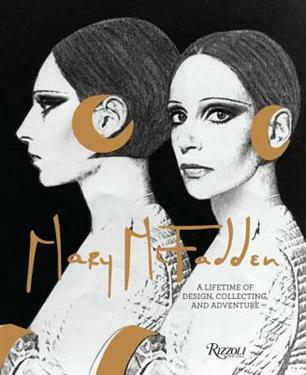 If you want your own piece of Mary McFadden I have on listed on ebay right now starting at just 99p! Everybody was trying to do the Fortuny pleat in the 80s. I even had some M&S undies called Fortuny. Not as good as that dress though.